Two years ago, John Griffioen went to a conference and came back to the NC State College of Veterinary Medicine with a mission. As a delegate of the Student American Veterinary Medical Association, Griffioen was able to get a feel for veterinary education as a whole as a CVM student. He met other veterinary students from across the country, learning about their own unique experiences and perspectives. 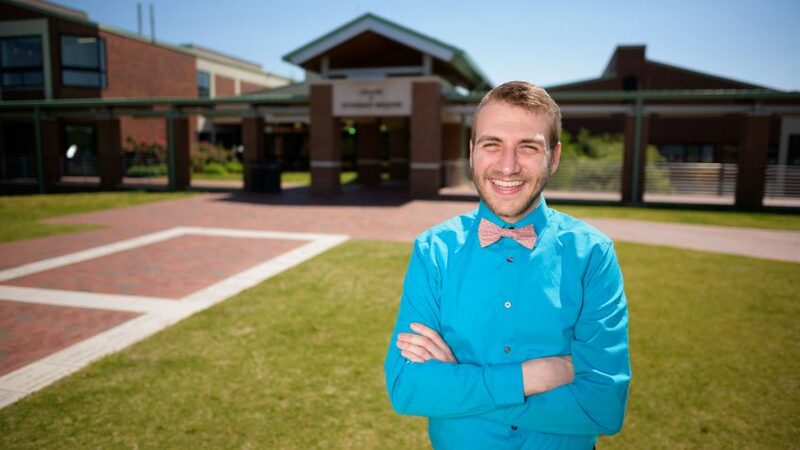 He soon formed a student wellness committee at the CVM, working closely with administration, staff and faculty to refine the college’s wellness plan. That includes everything from offering regular yoga on the hearth and promoting social support systems to promoting resources to combat stress and burnout. Now, the 2018 graduate is being recognized for his forward-thinking approach to improving the veterinary school experience. Merck Animal Health and the American Veterinary Medical Foundation recently presented Griffioen with a Veterinary Student Innovation Award. The award honors graduating veterinary school students in the United States and Canada whose creative work and entrepreneurship inspires others within the veterinary profession. At the CVM, maintaining positive physical and emotional health for the entire campus is a top priority. Griffioen’s leadership helped ensure well-rounded and focused wellness goals, especially in ways that improve student health. Several initiatives encourage exercise and proper nutrition, but also ways to constructively manage feelings and develop satisfaction in one’s work. Student wellness at the CVM also comes in the form of strengthened resources for financial support and career development. Griffioen is a month into an internship at Mystic Aquarium in Connecticut, where he said he’s again working with a group of people who understand the importance of physical, emotional and mental health. In the future, he plans to pursue a residency program in zoo and aquatic medicine.